Perfect for rayon batiks or similar fabrics . 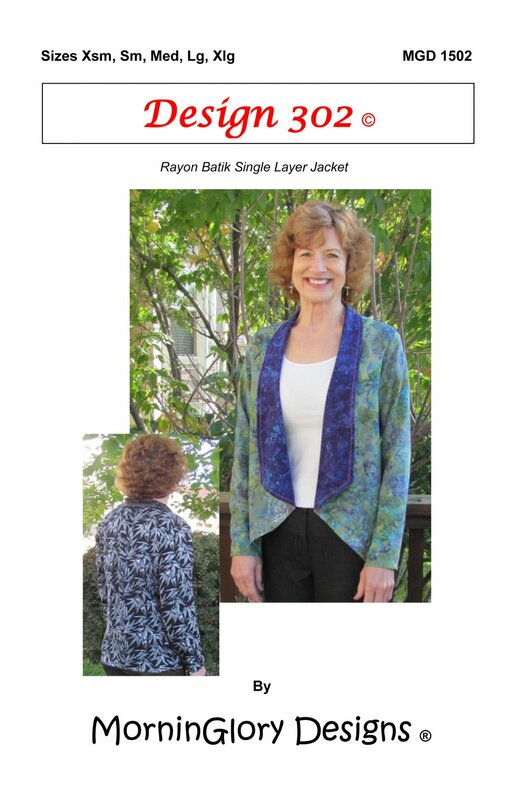 Simple to make jacket. The contrasting collar meets front hemline at center and angles down to sides. the jacket will make a great addition to your wardrobe. Sizes Xsm -Xlg included MGD1501 Requires intermediate sewing skills.